100 days that should not have been. 100 days the world could have stopped. But did not. 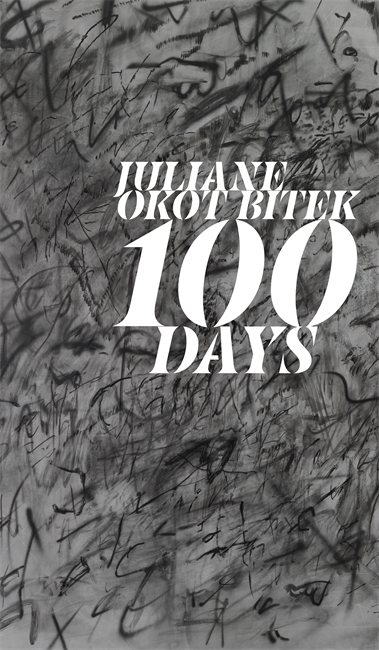 For 100 days, Juliane Okot Bitek recorded the lingering nightmare of the Rwandan genocide in a poem—each poem recalling the senseless loss of life and of innocence. Okot Bitek draws on her own family’s experience of displacement under the regime of Idi Amin, pulling in fragments of the poetic traditions she encounters along the way: the Ugandan Acholi oral tradition of her father—the poet Okot p’Bitek; Anglican hymns; the rhythms and sounds of slave songs from the Americas; and the beat of spoken word and hip-hop. 100 Days is a collection of poetry that will stop you in your tracks. The poems... engage traumatized personal memory, suspect the objectivity of official discourse and explore the complications involved in forging a new future. This collection, therefore, does not only add to the ever-growing library of contemporary African poetry, but it does so in ways that will further the postcolonial conversations around nationhood, security and inter-ethnic conflicts as they cross paths with ideas of autochthony, place, displacement and ecological interests in twenty-first century Africa. Bitek’s absolutely-must-read 100 Days, [is] an astonishing debut poetry collection.... Pieces are stark and plangent with simple concrete imagery and sensory detail.... The book furthers the sense of relentlessness never-ending, one day as horror-filled as the one before or the next. The University of Alberta Press has produced a tall, beautiful book.... While specific, the book’s range is far-reaching.